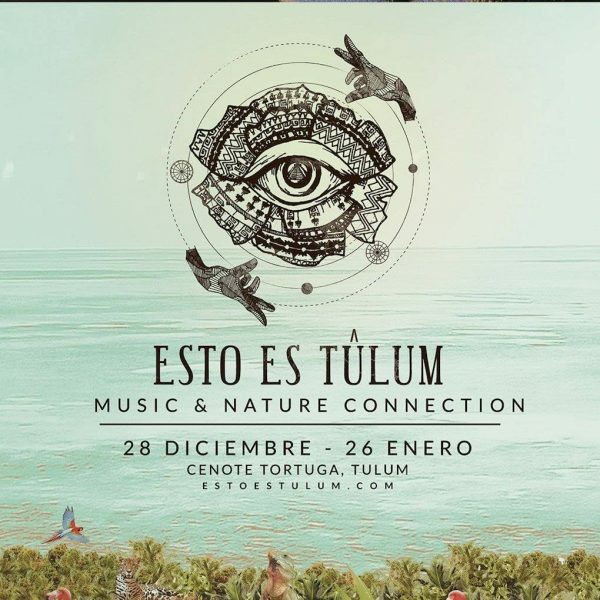 With the aim of bringing the essence of the experience represented by Tulum to the best stages around the world, the music festival Esto es Tulum is born. It is a festival that combines nature, music, art, gastronomy, experiences, workshops and culture, creating a unique concept for national and international tourism. From another angle, learn about the traditions of the Riviera Maya, connecting the public with music, framed by Tulum’s impressive natural scenery. This is Tulum will showcase presentations integrated by Mexican DJs in Ibiza, Greece, France, Amsterdam, Dubai and Miami. As if this was not enough, This is Tulum is the first Mexican platform to be presented at the Amsterdam Dance Event, the most important electronic music event on the planet that for 5 days brings together DJ’s, producers and celebrations. During this event, the award for the best DJ in the World is granted (sponsored by DJ MAG / TOP 100 DJ’s). A few steps from the Caribbean Sea and in harmony with nature, Tulum has the necessary infrastructure to cater to the most demanding tourists with a hotel capacity of almost 32,000 rooms in Playa del Carmen and 8,000 more in Tulum, in addition to international attractions such as: Cirque du Soleil and theme parks like Xcaret. This is Tulum will take place from December 28 to January 26 at Turtle Cenote in Tulum, Quintana Roo. The festival will be held in Tulum Mexico in a majestic place where you will enjoy a jungle environment and a cenote that will have the infrastructure and services to receive more than 5000 people. The site includes WI-FI Internet, VIP lounges, relaxation areas and massage, rest rooms, and an innovative area of ​​virtual reality and 3D where attendants can live the virtual worlds in conjunction with nature creating some of the most beautiful scenarios that one can imagine. In charge of KONYO FACTORY, which stands out for offering incredible results in the creation of spaces, stages, art installations, decoration and VIP areas that break with stereotypes, this has given them the opportunity to work with important events, among them, the editions of WooMoon and the latest editions of the BPM in the Riviera Maya. The ticket sale of the event will begin in two weeks on the estoestulum.com website.